If Trump Goes Hard on Immigration, Who Will Grow, Process, and Serve Our Food? Workers are worried about Trump's immigration policies, and so are some in industry. We know that farmers overwhelmingly supported President-Elect Donald Trump in this election. But how does that support square with how his immigration policy could impact the agricultural workforce? And perhaps the more pointed question might be: If Trump goes through with his campaign promises, who exactly will provide the bulk of the labor that goes into producing our food? A Diminished U.S. Food Industry? Undocumented workers are behind a lot of the food we eat in this country. There are about 2.5 million U.S. farm and agricultural workers and the estimates of how many are undocumented vary greatly. The U.S. Department of Labor puts the number at 30 percent, but other interpretations of this data, put it much higher—at 50 percent or more. And the nonprofit Farmworker Justice notes that such government figures are likely underreported because people are reluctant to answer questions about immigration status. According to the Pew Research Center, about 20 percent of those working in meat processing and food service jobs—including waiting tables, washing dishes, and other restaurant and food prep jobs—are unauthorized immigrants. In total, about twice as many unauthorized immigrants work in food—including meat-processing as do U.S.-born workers. The same is true of those working as cooks. Altogether, low-wage food system jobs employ upwards of 5 or 6 million workers, so even the most conservative estimate of undocumented workers is significant. President-elect Trump has talked about immediately deporting 2 to 3 million undocumented immigrants who have criminal records. In addition to widespread deportations, Trump has also promised to set limits on new immigrants. His advisers include Kris Knobach, who helped draft birthplace documentation and immigration laws in Kansas and Arizona that were struck down by courts for violating civil rights. While much of what lies ahead is still uncertain, any policy that would result in severe cutbacks could “create a major contraction of the labor force,” with significant impacts across the economy, said Minor Sinclair, director of Oxfam America. Farmers “currently rely on ‘a huge skilled workforce already in America that are undocumented,’ and while farm groups aren’t looking for ‘amnesty’ for these workers, there needs to be a way for them to legally do these jobs in the U.S.,” American Farm Bureau Federation president Zippy Duvall said in a statement. The National Restaurant Association declined to comment, but its post-election statement includes support for cuts in business regulations—including wage and benefit requirements. Thinking back to the kind of illegal worker recruitment that landed Tyson Foods in court more than once, Farmworker Justice executive director Bruce Goldstein is concerned that a Trump administration could expand the current guest-worker or H2A visa program in a way that erodes workers rights. Oxfam’s Sinclair echoed that sentiment. “We’re starting to have companies we’ve engaged with come to us and say, ‘We need to protect our workforce,’” he told Civil Eats. Food industry jobs have provided a foundation for generations of American families. Now there’s concern that Trump’s policies could lead to immigration raids, elimination of the Obama administration’s “Dreamer” (DACA) program, and widespread discrimination, upsetting life for millions of families across the U.S.
“People are concerned about families being broken apart, about their livelihoods being interrupted,” said Sian Lewis Restaurant, Opportunities Centers (ROC) United communications director and national campaigns manager. 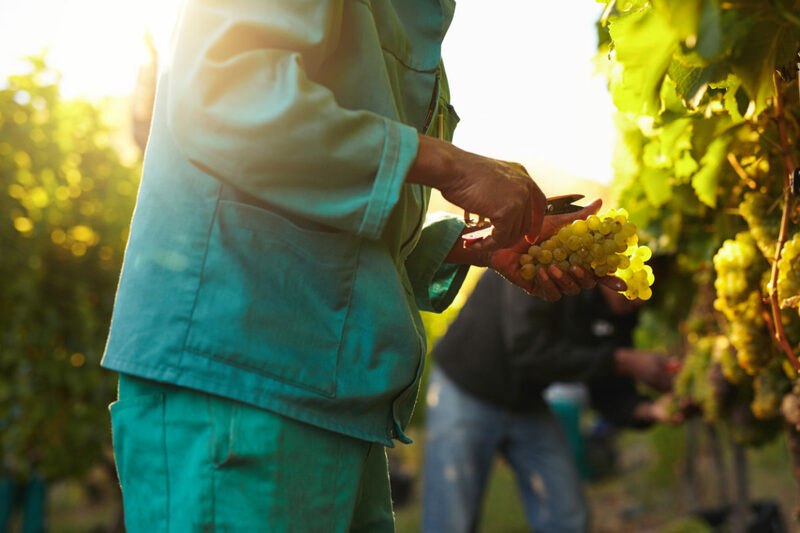 For these reasons, groups like ROC United, Oxfam, and Farmworker Justice say they will continue their campaigns to support these workers’ rights at both the state and federal level. These include efforts to increase minimum wages (such as the Fight for 15 Day of Disruption taking place today in 340 cities), the right for union representation, and campaigns like the one in New York State advocating for a farmworkers’ bill of rights. ROC United is also creating a “know your rights” document for restaurant owners, explained Lewis. The document will explain what restaurant owners can do to protect their workforce should there be any immigration issues—including raids by Immigration and Customs Enforcement. “Our hope is that the incoming administration doesn’t make life any more difficult for these hardworking folks than it already is,” said Lewis. According to the U.S. Department of Agriculture, farm workers earn less than $11 per hour on average. Meanwhile, folks working in the food processing industry earn between $23,000 and $25,000 a year, while those serving food earn on average about $19,000 a year. “By and large, I don’t think you’ll see Americans moving into these jobs. These are hard, dangerous, low wage jobs,” said Oxfam’s Sinclair.